Courtesy on any river is an unwritten law. You just don’t barge into someone’s water, or if there is room for another angler, you should always ask first before fishing. Once in a while though someone will break this law. Advice about the violation is often direct and to the point and tempers can be short. 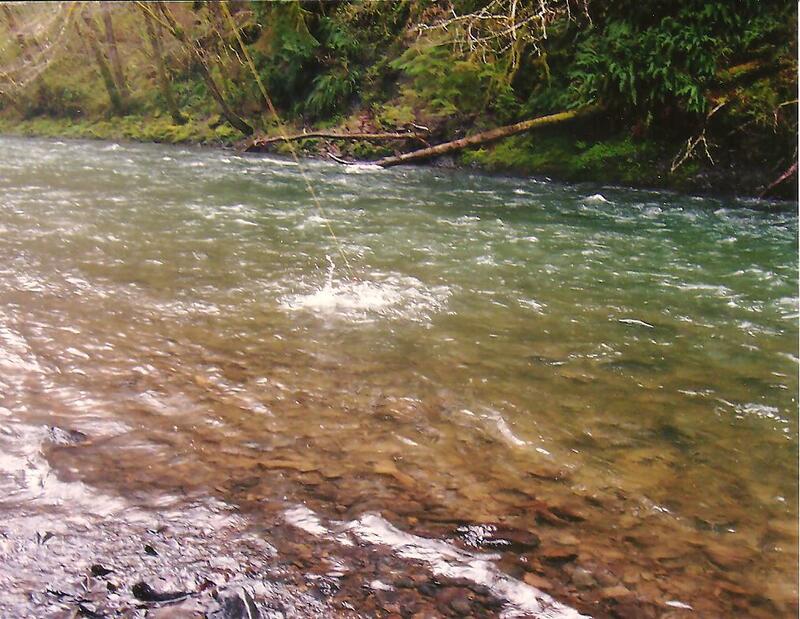 My friend John had such an experience which imparted a painful and chilling lesson to an angler on the Nehalem River. John had used his pocket knife to hack his way through the willows to reach a good hole to fish. He quickly got lucky and hooked a nice steelhead which took him downstream before he could land it. When he returned with his fish another angler was fishing in his spot. John politely explained than this was his spot and he wanted it back since he had cut his way in to fish it. Sarcastically, the guy said, “I don’t see your name written on this hole. Do you think you own this whole river?” John stared at him for a second and dryly responded, “No buddy, I don’t own all of it, but what little of it I do own I’m gonna give it all to you.” Then he promptly knocked him into the river. Fortunately, this fellow decided not to retaliate and headed off downriver. A difficult lesson in courtesy was learned the hard way, but not necessarily the best way. The heavy traffic on our rivers today sometimes resembles freeways. Crowded conditions don’t make it easy to drive a car or fish our favorite drifts, but by showing a little respect for the next guy difficulties can be alleviated. Courtesy can be Contageous! If everyone relied on a similar code of ethics we would probably have fewer problems and get more enjoyment out of our sport.